Lincoln leads the Oscar nominations after being named in 12 categories. Emma Stone and Seth MacFarlane unveiled the shortlist for this year's Academy Awards earlier today, and the Steven Spielberg-directed biopic - which stars Daniel Day-Lewis as pioneering President Abraham Lincoln - leads the way, followed closely by Life of Pi, which is up for 11 honors. Both movies are up for the prestigious Best Picture Oscar, but will face competition from Amour, Argo, Beasts of the Southern Wild, Django Unchained, Les Miserables, Silver Livings Playbook and Zero Dark Thirty to take home the statuette. 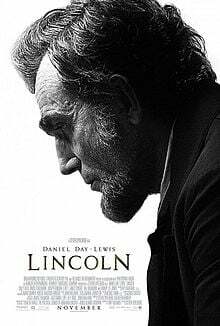 Lincoln stars Daniel, Sally Field and Tommy Lee Jones are all up for awards, Best Actor, Best Supporting Actress and Best Supporting Actor respectively, while Spielberg is in the running for Best Director. Also up for Best Actor are Silver Linings Playbook star Bradley Cooper, Hugh Jackman for his role in Les Miserables, Joaquin Phoenix for The Master and Flight actor Denzel Washington. The Best Actress nominees are Jessica Chastain for Zero Dark Thirty, Silver Linings Playbook star Jennifer Lawrence, Amour actress Emmanuelle Riva, Quvenzhane Wallis from Beasts of the Southern Wild and The Impossible actress Naomi Watts. As well as Spielberg, Life of Pi's Ang Lee, Silver Linings Playbook filmmaker David O. Russell , Michael Haneke, who made Amour, and Beasts of the Southern Wild helmer Benh Zeitlin are up for Best Director. The Oscars will be hosted by Seth MacFarlane and take place at the Dolby Theatre in Los Angeles on February 24.